THANK YOU FRANK..FOR SHARING THE INFORMATION. 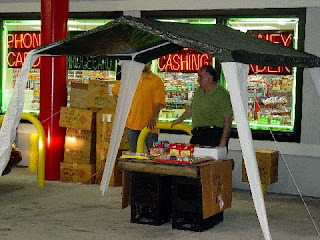 THE PHOTO SHOWS THAT IN 2006, FIREWORKS WERE BEING SOLD AT THE ENTERANCE TO SPEEDY GAS STATION, WWARREN-EVERGREEN - VERY DANGEROUS FOR THE COMMUNITY AND FOR THERE CUSTOMERS. IF WARRENDALE RESIDENTS SEE ILLEGAL FIREWORKS - BOTTLE ROCKETS, BLACK CAT FIRECRACKERS, ROMAN CANDLES ANYTHING THAT MAKES A NOISE OR LEAVES THE GROUND THEY ARE ILLEGAL - CALL THE POLICE. EVEN NOW DAYS AFTER THE 4TH, THE NOISE OF FIREWORKS CAN BE HEARD IN THE N'BORHOOD.